A week of major wind-whipped fires across Southern California has caused significant air pollution and health problems. The air quality is worst in and around fires burning from Ventura County to San Diego County, but the smoke has traveled to places not threatened by the flames. And with the Santa Ana winds dying down, officials say the smoke could stick around for a while. Phil Moyer, air quality specialist with the Ventura County Air Pollution Control District, said a winter storm or new Santa Ana winds could lift the smoke out of Ojai, which is heavily polluted. But there’s no rain in the forecast and winds would have to be very strong to reach the low-lying community, and would likely intensify the fires. “They’re going to see stacks of smoke for a while,” he said. More eastern parts of Ventura County like Simi Valley and Thousand Oaks had low levels of pollution, as winds blow toward the sea, he said. The westward current has led to polluted air on the Channel Islands and in neighboring Santa Barbara County. Health officials said Friday that air quality in Santa Barbara and Goleta has been unhealthy for three days. Santa Barbara County health officials are distributing special masks and recommending that people relocate for at least a few hours a day to somewhere with cleaner air to give their lungs a break. On Friday, Maria Perez was volunteering for a nonprofit group in Ventura and didn’t like what she saw: a family of four without masks. “See, they don’t realize the harm they’re causing to themselves,” Perez said. She gave the family four masks. When it comes to bad air, the coastal parts of Ventura County, including Oxnard and Ventura, haven’t been spared either. “Here in the Oxnard Plains we’re getting some of the drift of the smoke, and we’re starting to see our numbers being elevated,” Moyer said, adding that the levels were somewhere between unhealthy and very unhealthy. Moyer, whose office is in Ventura, said he’s spent most of his time indoors this week and isn’t wearing a mask when outside. He said he’d seen people in the city wearing masks to protect themselves but warned that most won’t do much to spare people’s lungs. N95 and P100 respirators are needed to protect against particulate matter, he said. Experts said a sea breeze that kicked up Friday could push smoke inland. 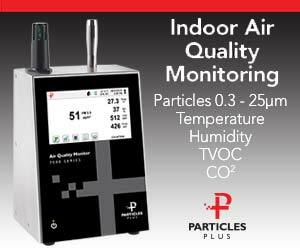 Places with clean air may start to feel that change. Hospitals across Southern California reported high numbers of patients showing up in the emergency room with breathing problems this week. The microscopic particles that are in smoke can penetrate deep into people’s lungs, creating a hazard for those who already have heart or lung problems such as asthma, emphysema or chronic obstructive pulmonary disease. The 475-acre Skirball fire broke out above the UCLA campus, in Bel-Air. The university lost power and canceled classes. The smell of smoke lingered in the medical buildings. After the fire began on Wednesday, a 5-year-old was admitted to UCLA Medical Center-Santa Monica because the child was struggling to breathe, said UCLA health spokeswoman Amy Albin. In Westwood, Ronald Reagan UCLA Medical Center treated five patients with asthma attacks on Wednesday, and UCLA’s urgent care clinic in Century City administered breathing treatments to a handful of walk-in patients through Thursday, Albin said. 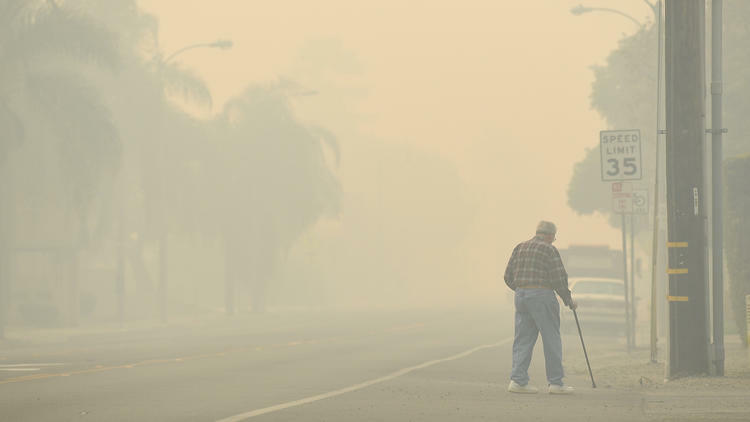 Health officials advised that people in the area as well as in Malibu and Santa Monica stay indoors, even when smoke or ash couldn’t be smelled or seen. Inhaling smoke can cause cause chest pain, shortness of breath, coughing and wheezing. Officials also warned of particularly bad air quality in the San Fernando Valley. The Creek fire, which has now burned more than 15,000 acres, broke out Tuesday in Sylmar. Twenty-five patients showed up to the Providence Holy Cross Medical Center in Mission Hills on Tuesday complaining of smoke-related problems, said hospital spokeswoman Patricia Aidem. Jack Hagerman, spokesman for Valley Presbyterian Hospital in Van Nuys, said the hospital was offering face masks to employees, patients and visitors. He said the facility also put air purifiers in its high-risk areas to keep the air as clean as possible. Health officials advise that people limit their outdoor activity, close windows, use air-conditioning that recirculates inside air and, if outside, wear N95 masks to filter harmful particles.